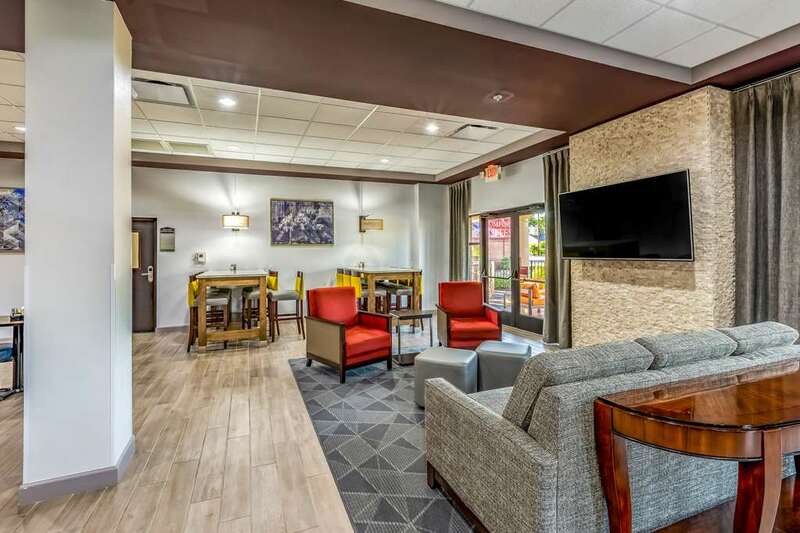 The smoke-free Comfort Suites hotel, a member of the Choice Privileges rewards program, in Lexington, SC offers guests the extra space you need with the extras you want. We are merely minutes away from the South Carolina State Fairgrounds, University of South Carolina, Lake Murray, Williams-Brice Stadium and the Riverbanks Zoo and Garden. Enjoy our free hot breakfast, free WiFi, exercise room, free coffee and meeting space. Your spacious suite offers 25 percent more space than the traditional room, with amenities like a flat-screen TV, hair dryer, coffee maker, desk, safe, microwave, pillow-top mattress, refrigerator and recharge device.